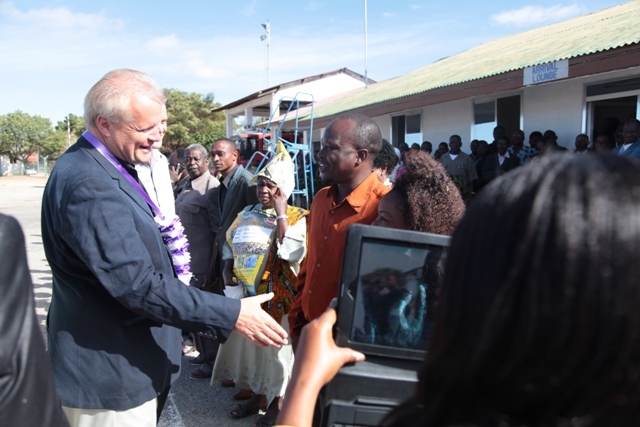 Peter and I arrived in Dodoma, Tanzania’s capital city, in a tiny and wobbly 5-seater plane. Actually, there were six people jam-packed onboard. Fortunately, I didn’t know until afterwards that the plane was only meant for five… In the Gospel ministry like ours, even a safe arrival can sometimes be a little miracle! On arrival, one of the Committee members told Peter that he had received Christ ten years earlier in one of our previous campaigns in Tanzania. The same happened at the hotel where we stayed; a waiter told me how he came to Christ eight years earlier when Peter visited in the area. In 1964, Tanganyika and Zanzibar merged to form the nation of Tanzania. With almost 50 million people, it is sixth largest nation on the African continent. Zanzibar is a semi-autonomous part of the country with rich ethnic history. Dar es Salaam is probably the most well-known city of Tanzania with millions of residents. Dodoma is a much smaller city, but we had a good reason to go there in addition to the people that we wanted to reach through the Friendship Festival; the parliament was in session. We met political leaders and influencers, who all welcomed us warmly to the region, and we in turn welcomed them to Christ. Media was interested in the Festival and about 40 journalists were present in our press conference. The Festival was broadcasted on radio every night. At the Friendship Dinner, our Guest of Honor was the Minister of Foreign Affairs, Mr. Bernard K. Membe, alongside with a large group of Christian, Muslim and Hindu leaders. 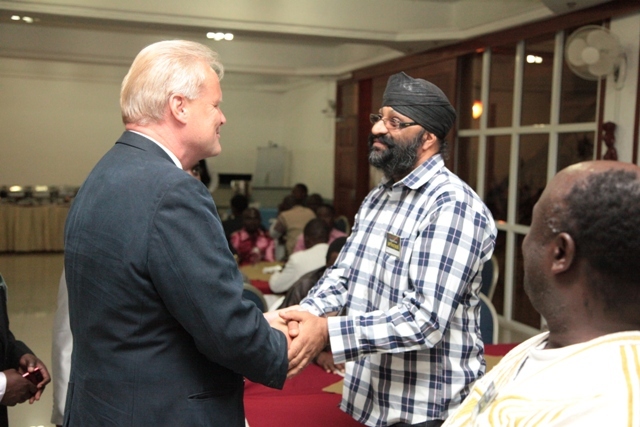 Several Members of the Parliament and the Mayor of Dodoma were also present, as well as Sheiks from Ahmadiyya Community and other branches of the Islamic faith. They all listened carefully to Peter’s message about Christ who became our substitute 2000 years ago. When Muammar Gaddafi was dictator of Libya, he used the oil riches to build mosques in many countries around the world. Our Friendship Festival was conducted in the main stadium of the city, only 300 feet away from the Muammar Gaddafi Mosque, the largest in Tanzania, and one of the biggest in whole of East Africa. How ironic that the name of Jesus was now proclaimed and received by thousands right next to a place built by a man who fought against the Gospel! Already on the first night many deaf were healed and miraculous healings continued during the rest of the week. In fact, the platform was so full of people every night ready to testify that we could only interview probably half of them. Several large tumors, two the size of a baby’s head, vanished. People with various forms of paralysis, including those who had been carried to the stadium, testified of healing. God’s invisible hand swept all over the people. Peter preaches his message in English and then his translator speaks it sentence by sentence in the main local language. 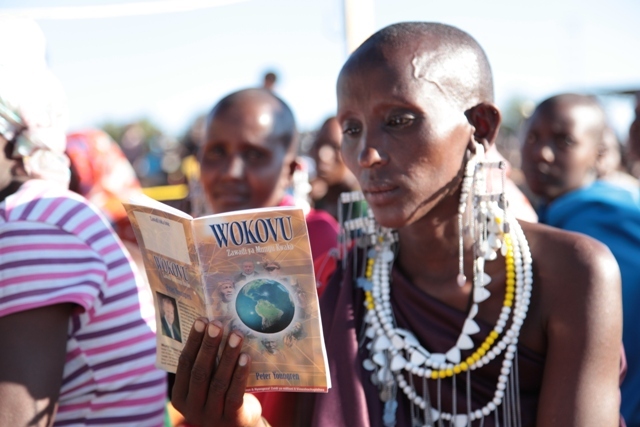 99% of the people in the Dodoma stadium spoke either Swahili or English, and were able to understand the message. However, there was a small group, the Gogoh people, who spoke neither language. When a blind Gogoh woman received sight on the second night, it was the beginning of increasing amount of precious people from this tribe who received Christ. Peter used this as an opportunity… He told people, “This really proves that I’m not the healer, but Jesus Christ is!” Gogoh people didn’t understand a word that was spoken, and yet God showed His love as they were healed in the name of Jesus. Fortunately, several pastors were able to translate the testimonies from the Gogoh language, so we could all enjoy what God had done. 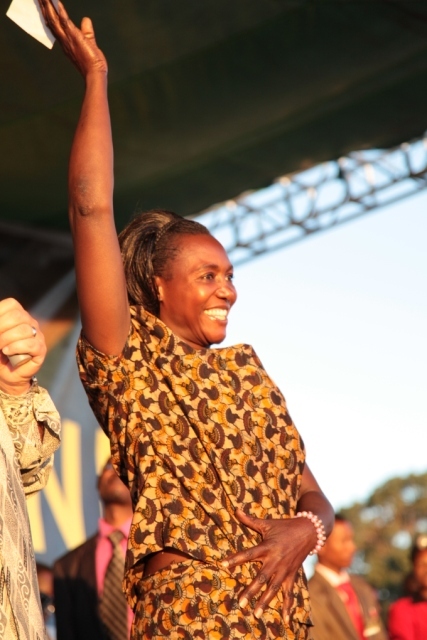 One Gogoh lady brought her younger sister, who had been blind for several years and Jesus healed her. 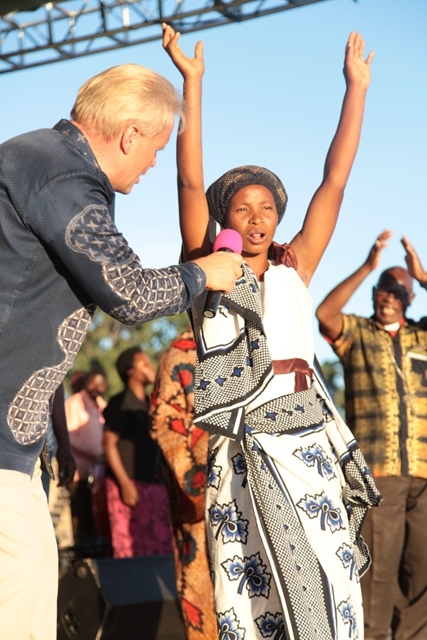 Another woman was healed of blindness on the previous night, and she came to report the next night that also her stomach tumor had disappeared! Thousands responded every night for the salvation call. It was wonderful to see and experience the joy that captured people, when they realized how much God loved them. This was the first encounter with living Jesus for many of the people. You investment is bearing fruit in Tanzania. That’s what our Gospel Festivals are all about – seeing Jesus Christ and God’s grace revealed to people of all tribes and languages. Thank you for being part Gospel Advancement!